Join us for a staged reading of selected scenes from The Lion in Winter by James Goldman with a cast of local favorites directed by Pete Danelski. This staged reading is free, though reservations are requested. It's Christmas 1183, and King Henry II us planning to announce his successor to the throne. The jockeying for the crown, though, is complex. Henry has three sons and wants his boy Prince John to take over. Henry's wife, Queen Eleanor, has other ideas. She believes their son Prince Richard should be king. As the family and various schemers gather for the holiday, each tries to make the indecisive king choose their option. 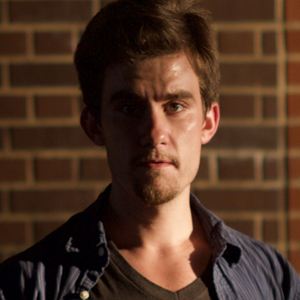 Pete Danelski is a DC-based theatre-maker, director, and writer. He has performed and directed at theaters across Philadelphia, New York, and Washington, DC, currently assitant directing King John at the Folger. Pete's research has been shared nationally at conferences and published internationally, most recently in Shakespeare, the Journal of the British Shakespeare Association. He has written several plays with his writing partner Megan Diehl, including an adaptation of the Capek Brother's Adam the Creator. Pete holds degrees from DeSales University and Trinity College Dublin. After the reading, join us for the performance of King John. Purchase tickets online or call the Folger Box Office 202.544.7077.